Thank you to artist Sue McDonagh, who did an excellent jobat critiquing the 37 pictures entered this evening. She gave members useful advice & referred to the poem to ensure that the pictures did depict the poem. 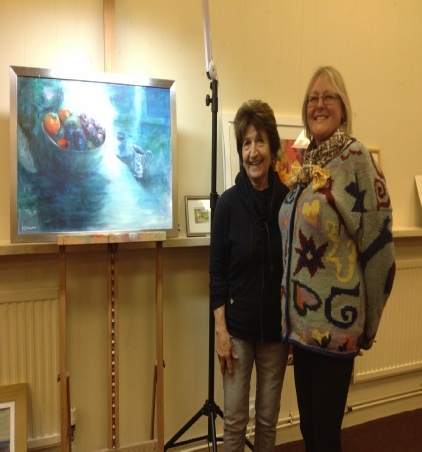 Finally, Sue shortlisted the paintings. These will be carried forward to the next part of the competition. Members on the short list will need to bring their pictures to the next meeting on March 1st. Part 2 of the competition, ‘Paraphernalia’, will also be on March 1st. Sue will choose a winner from each category, then pick the overall winner. Sue’s studio is at The Old Wool Barn, Cowbridge.